Boys Junior Varsity Track/Field, Boys Varsity Track/Field · Jan 18 Want to be a better football lineman? 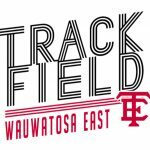 Join Track & Field; Throw Shot Put! Quick read below to see the benefits of learning to throw shot has on functional strength and how that transfers to other sports, such as football: http://www.stack.com/a/why-every-football-lineman-should-also-throw-shot-put Join Track & Field – Open gyms every Sunday 4:00-6:00 PM Season Begins – March 5th Have Questions? Find Mr. Cartier (science teacher) and ask.